Easy Permissions allows you to request all the permissions declared in your AndroidManifest with one line of code. It knows what permissions you have declared in your AndroidManifest and will request them for you if needed. 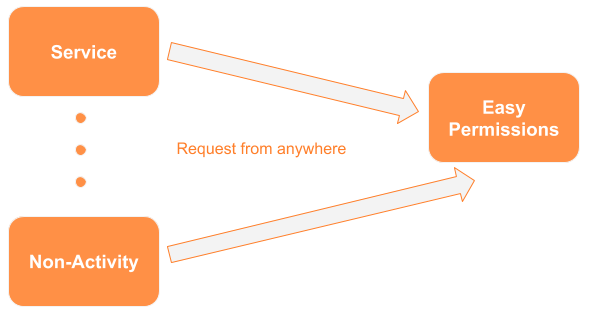 In addition, it allows you to make this request from anywhere in your code; no longer will you have to request permissions exclusively from an Activity.